Nailed for $2.8 Mil in Fyre Fest Suit!!! 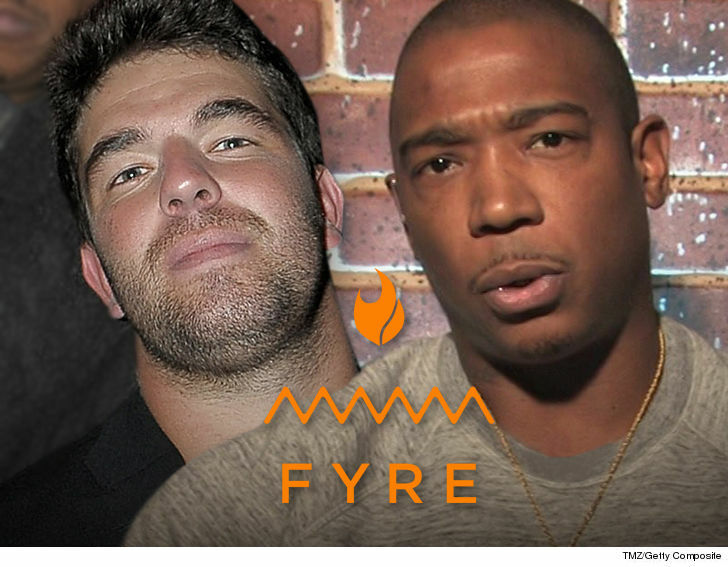 Billy McFarland and Ja Rule are gonna have to scrounge together about $3 mil to pay back an investment company that got screwed when Fyre Festival imploded … TMZ has learned. EHL Funding sued Ja and Billy over $3 million they loaned the duo less than 3 weeks before Fyre Fest was supposed to go down in April 2017. As we all know now — courtesy of the Netflix and Hulu documentaries — McFarland was way over his head at that time and scrambling to get any and all financial support for the concert. According to docs, EHL won a default judgment because neither Billy nor Ja responded to the lawsuit. McFarland’s been a little busy — he started serving a 6-year prison sentence for wire fraud last year. The judge ordered them to fork over $2,891,600 … plus 30 percent interest dating back to August 2017 … and EHL’s attorney fees — which ya just know are gonna be enormous. Big win for EHL … on paper. Collecting from these guys might be tough. Fun fact: McFarland is doing his time at NY’s Otisville federal prison … same place Mike “The Situation” Sorrentino is locked up. President Trump‘s ex-lawyer, Michael Cohen, will be there soon too!